Weeks after federal regulators announced that additional vehicles would be added to the long list of those affected by Takata’s airbag defect, Mazda recalled 374,000 automobiles in the U.S. The recently recalled vehicles have been linked to defective front passenger side airbags made by the Japanese parts maker. According to a notice [PDF] filed with the National Highway Traffic Safety Administration, the recall includes 374,519 model year 2003 to 2008 Mazda 6, model year 2006 to 2007 MazdaSpeed 6 and the 2004 RX8. 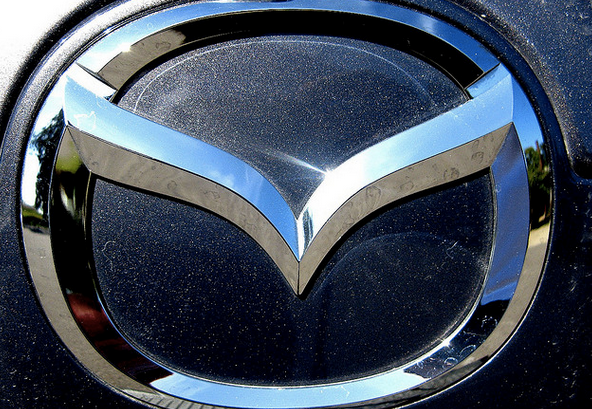 “In the event of a crash necessitating deployment of the passenger’s frontal air bag, the inflator could rupture with metal fragments striking the vehicle occupants potentially resulting in serious injury or death,” Mazda said in the notice. The company will notify owners of affected vehicles and dealers will replace the frontal airbag with a new one. For more than a year now, Takata has been at the center of a massive recall centered on airbags that can rupture with such force that pieces of shrapnel fly at drivers and passengers causing injuries and even death. So far, eight deaths in the U.S. and nine worldwide have been linked to the defect. Consumers looking to see if their vehicles are part of the largest auto recall in history can check by entering their 17 digit VIN on the SaferCar.gov website, which produces a list of all recalls associated with a particular vehicle.